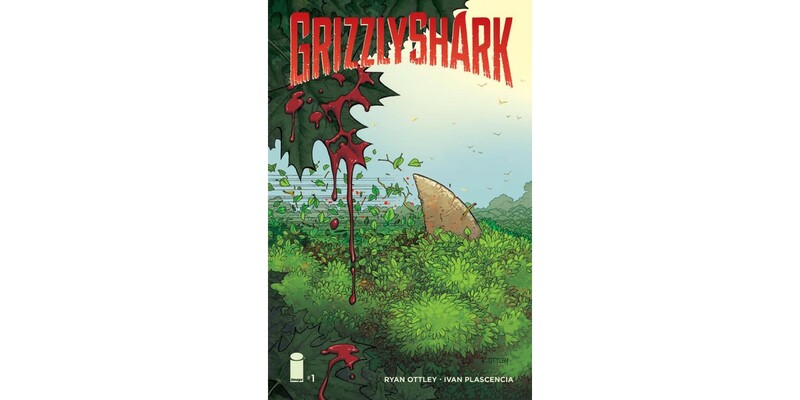 Fan-favorite creators Ryan Ottley (INVINCIBLE) and Ivan Plascencia (RASPUTIN) return to the cult hit GRIZZLY SHARK, out for fresh blood this April. The sold out, black-and-white GRIZZLY SHARK issues will return, but this time in full color, and will kick off all-new issues to the series. The bloody adventures of GRIZZLY SHARK continue and invite new readers into the story of the world’s most feared animal, the Grizzly Shark. GRIZZLY SHARK #1 (Diamond Code FEB160496) will hit comic book stores on Wednesday, April 6th. The final order cutoff deadline for comic book retailers is Monday, March 14th.